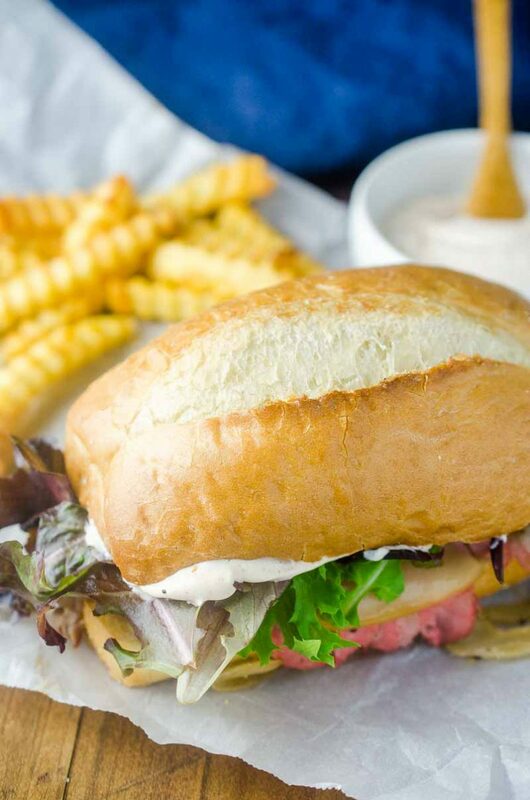 The Best Roast Beef Sandwich loaded with thinly sliced roast beef, caramelized onions, lettuce and a creamy horseradish sauce. One of the best things about all the big holiday meals we have each year is the leftovers, am I right?! When you have leftover turkey you can make turkey sandwiches, turkey soup and turkey tetrazzini. When you have leftover ham you can make casseroles, breakfast sandwiches and add it to soups. For leftover prime rib, you’ve got options too. One of my favorite is prime rib tacos, because tacos. The other favorite, is roast beef sandwiches. And you guys, this recipe makes THE BEST Roast Beef Sandwich. 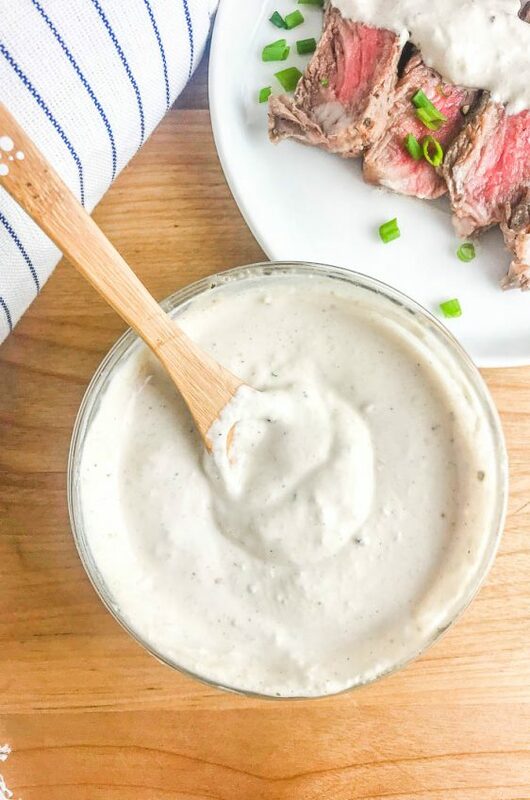 In my opinion, the best dipping sauce for prime rib has always been a creamy horseradish sauce. So adding it to these roast beef sandwiches was a no brainer. 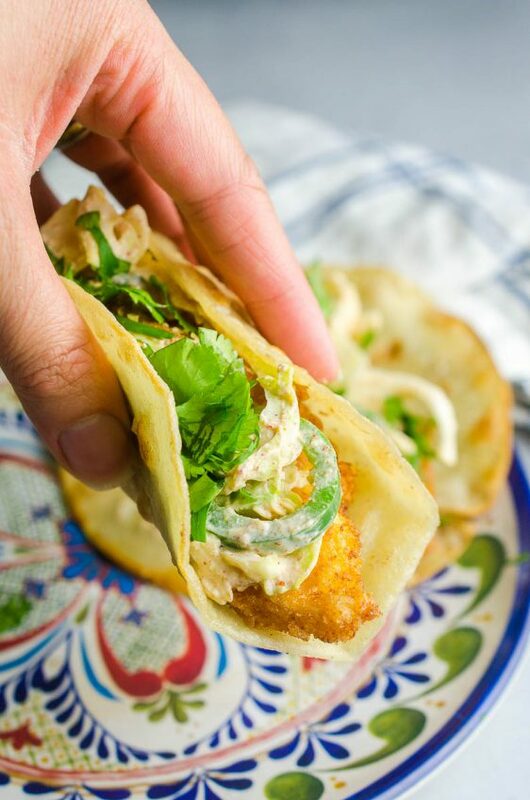 The creamy sauce is made with mayonnaise, sour cream, horseradish and paprika. It just so happens to make an excellent fry dip too! 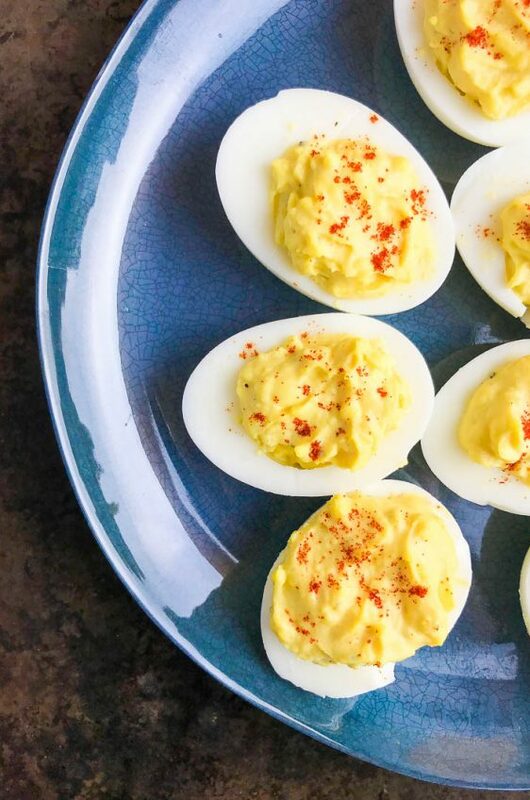 What else goes great with roast beef and creamy horseradish sauce? Caramelized onions. 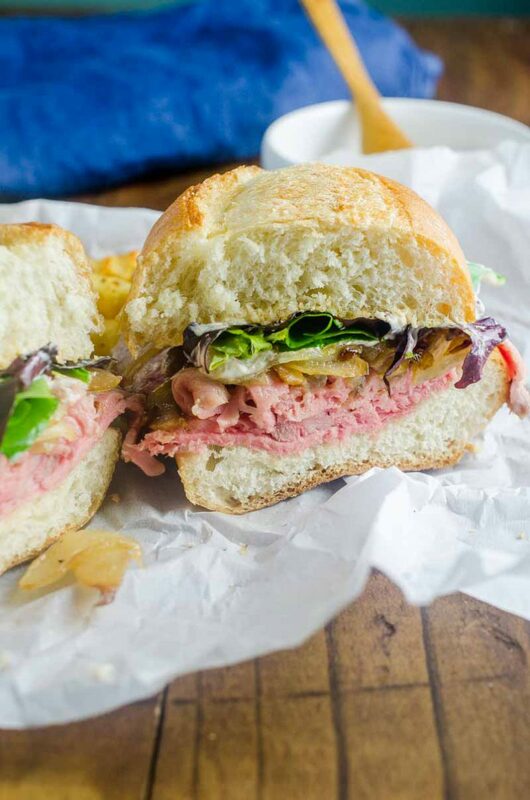 So obviously, the Best Roast Beef Sandwich has to be piled high with caramelized onions too. The Best Roast Beef Sandwich also gets crunch from some fresh lettuce. 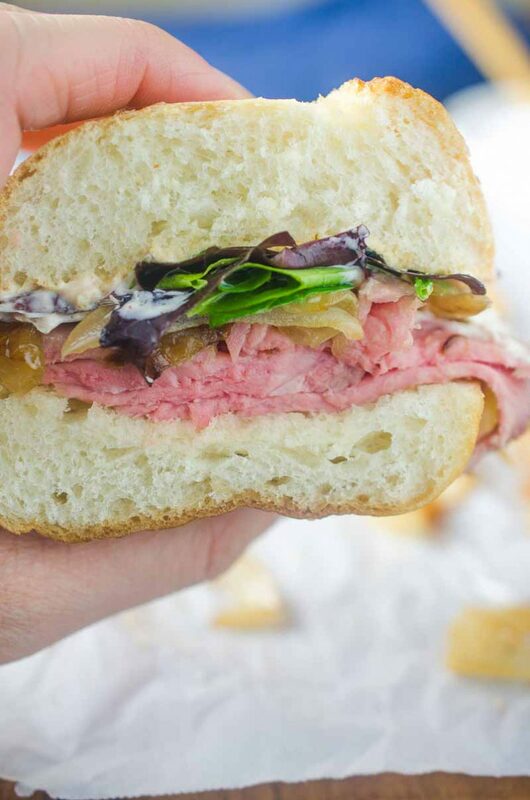 Finally, to make the best Roast Beef Sandwich, we’ve got to talk about one more thing: the bread. One could use hoagie rolls for this or even toasted brioche buns. Personally, I love using small crusty french bread rolls. I love the crunchy outside and the soft inside. 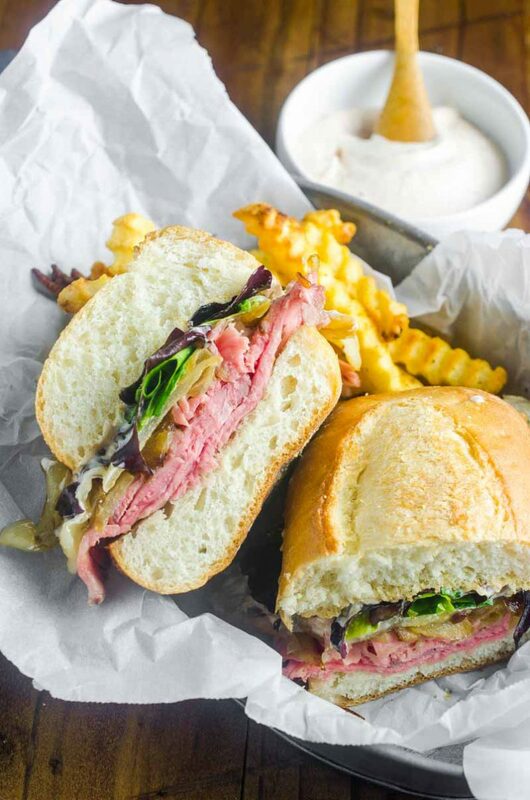 Great bread is what helps make this the Best Roast Beef Sandwich. 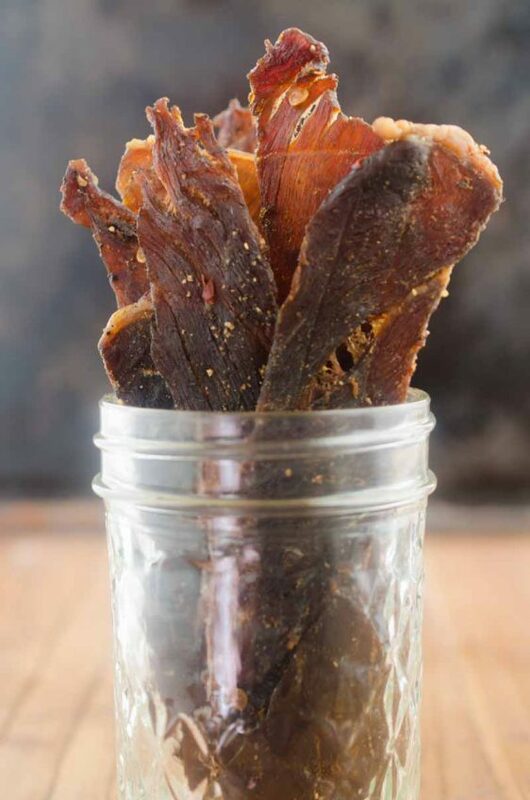 If you don’t happen to haven any leftover roast beef handy, you can also make the Best Roast Beef Sandwich with thinly sliced deli roast beef. Combine all ingredients for the horseradish cream sauce in a bowl. Season to taste with salt and pepper. Cover and chill for 20 minutes while you prepare the rest of the sandwich. In a skillet over medium heat add the olive oil and butter. Once the butter has melted add the onions and garlic. Cook until the onions caramelize, about 10-15 minutes. They should be turning a golden brown. Remove from heat and set aside. Slice the French rolls in half and lay on a cookie sheet. Put under the broiler for about a minute. Remove from oven and rub the remaining garlic clove on the both sides. On the bottom piece of each roll layer the roast beef, splitting the meat equally between the sandwiches. Next, divide the onions evenly among the sandwiches and place two slices of cheese on top of the onions. Place the tops and bottoms under the broiler until the cheese starts to melt. Once the cheese has melted remove the sandwiches from the oven.Top with lettuce. Generously spread the horseradish cream sauce on the top portion of the french roll. Place the top on the rest of the sandwich and cut in half. I have been looking for a recipe that sounded tasty like the grinder we buy locally. I did add red, yellow, and green peppers with the onion. My husband liked it better than the ones we buy and reasonable to make. 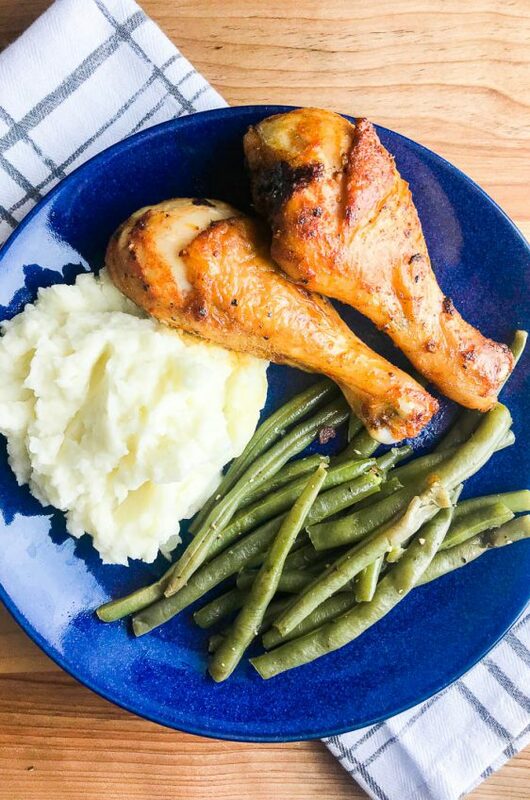 I will share this recipe! Yum, Yum, looks great and quick,go to the deli and get the roast beef and do the rest and you have a great sandwich!!! EASY. Now I am hungry! Perfect for my quick lunches! This sounds like the perfect after holidays sandwich. These do look like the best! Love them! I could put this horseradish on so many things! So good! I am glad that I am not alone in thinking it is an amazing fry sauce too! 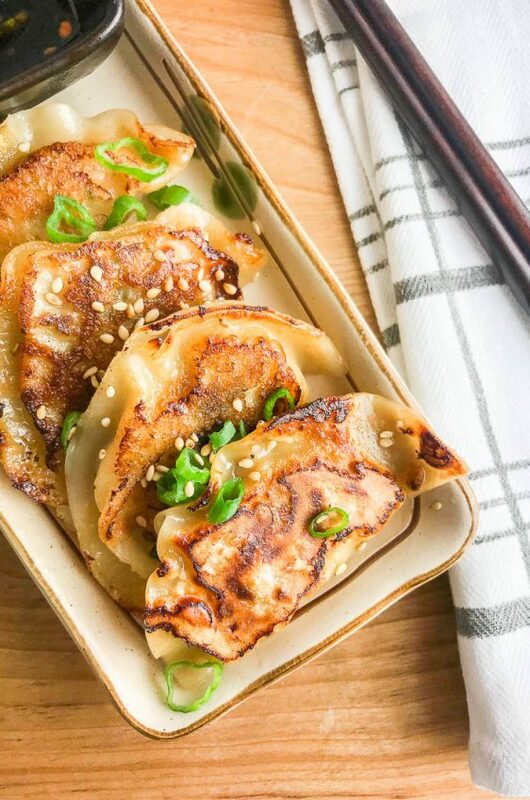 These could be serve for new year’s day for sure. Thanks for the idea!